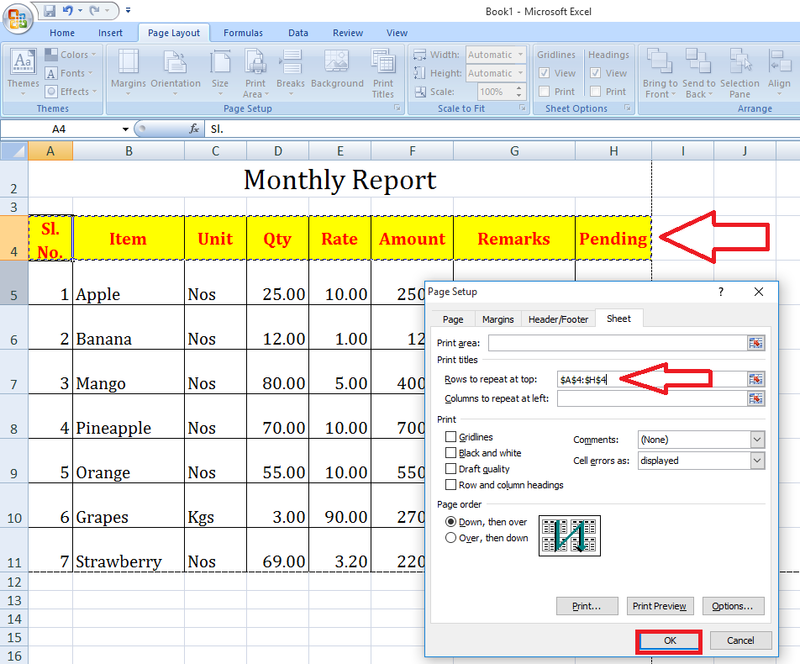 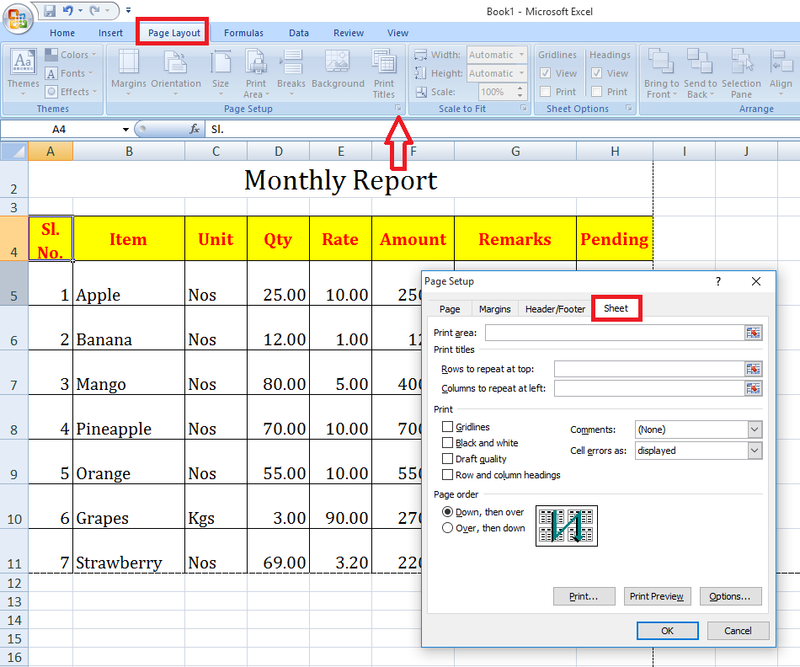 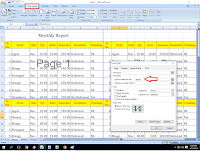 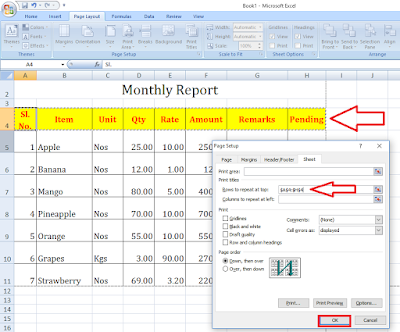 Hello everyone welcome back again, in this post I will show you how to repeat rows and column to all Excel pages, sometime we work on same format and want to repeat title row on every excel page, if you try to copy paste each and every page it will take lot of time and will disturb the setting, so lets see how to repeat automatic rows on every page in excel. 2. 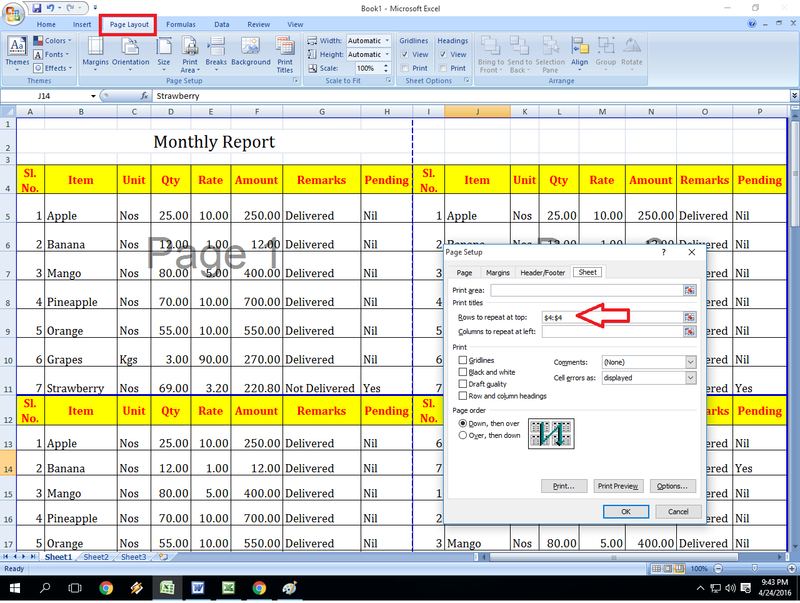 Now select rows from start to end by using mouse or keyboard, and click on “Ok” now the selected rows will automatic add on top of all excel page.